Verizon Wireless will be officially making a switch on the world’s first large-scale 4G LTE network on Sunday, December 5. Announcing plans, the wireless carrier promised to make massively expand its coverage over the next few years. Marking the launch, the network would be arriving is 38 major metropolitan areas and 60 airport locations, with convenient 4G Data Plans. 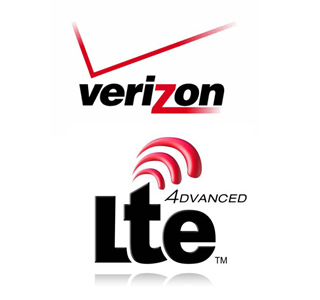 The 4G LTE network is being termed as the most advanced and fastest wireless network available in America. With Sprint pioneering the 4G revolution, users would now have a choice to make a switch and experience speeds up to 10 times faster than the 3G network. With the launch, Verizon Wireless also offered data plans starting at $50 monthly access for 5GB monthly allowance or a $80 monthly access for 10GB allowance. The wireless carrier also offered two new 4G LTE USB modems., the LG VL600 and the Pantech UML290. The LG model would available as the 4G goes online while the Pantech model would be available in the upcoming season. Beginning Sunday, Verizon Wireless is making the best network even better. Our initial 4G LTE launch gives customers access to the fastest and most advanced mobile network in America and immediately reaches more than one-third of all Americans, right where they live. That’s just the start. We will quickly expand 4G LTE, and by 2013 will reach the existing Verizon Wireless 3G coverage area. The 4G LTE network would offer a 5 to 12 megabits per seconds (Mbps) on the down link while a 2 to 5 Mbps on the uplink. While announcing plans of the 4G LTE network, Verizon would also be rolling out consumer-oriented handsets which would not be available at the launch but by mid-2011. Verizon would be marketing the USB cards which give laptop subscribers 4G LTE access while also compatible with the 3G network where no 4G service is available.